As Chamberlain's plane judders across the Channel and the Fürher's train steams relentlessly south from Berlin, two young men travel with secrets of their own. Hugh Legat is one of Chamberlain's private secretaries, Paul Hartmann a German diplomat and member of the anti-Hitler resistance. Great friends at Oxford before Hitler came to power, they haven't seen one another since they were last in Munich together six years earlier. Now, as the future of Europe hangs in the balance, their paths are destined to cross again. All along the Mediterranean coast, the Roman Empire's richest citizens are relaxing in their luxurious villas. The world’s largest navy lies peacefully at anchor in Misenum. The tourists are spending their money in the seaside resorts of Baiae, Herculaneum, and Pompeii. Only one man is worried. The engineer Marius Primus has just taken charge of the Aqua Augusta, the enormous aqueduct that brings fresh water to a quarter of a million people in nine towns around the Bay. Springs are failing for the first time in generations. His predecessor has disappeared. The New York Times best-selling classic of alternate history, a murder mystery set in a world where the Nazis won World War II - for fans of The Plot Against America and The Man in the High Castle. But when Xavier March discovers the identity of the body, he also uncovers signs of a conspiracy that could go to the very top of the German Reich. And with the Gestapo just one step behind, March, together with the American journalist Charlotte Maguire, is caught up in a race to discover and reveal the truth - a truth that has already killed, a truth that could topple governments, a truth that will change history. 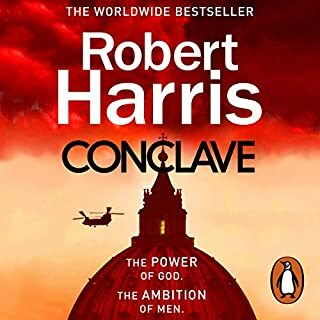 The world created by Robert Harris is wholly believable and the inclusion of historical figures, locations, newspapers, streets, etc. make it all the more believable. 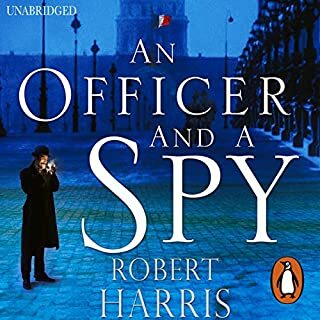 I thought the narration by Michael Jayston was superb and seemed to give Xavier March the tone and manner I would have expected from a forty-something divorced, disillusioned cop who has lived under Nazi oppression his entire life. The story is well paced and keeps you guessing. If you are into alternate history, KGB type thrillers, &quot;who done it&quot; murder mysteries, or intrigues surrounding the Third Reich, then this book is for you. I'm an avid reader of all things World War II and it was very interesting, yet easily envisioned, to temporarily live in a world of 1960's Nazi Germany. Fatherland is a noir detective novel set in an alternate 1964 in which Germany won the 2nd World War. 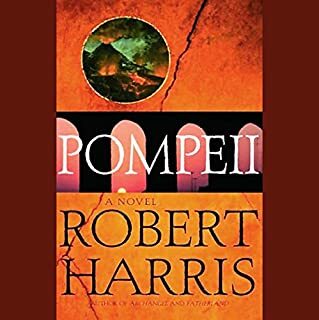 Harris fleshes out this alternate world in a convincing and chilling way, giving the reader clues as to why Germany might have won the war. We glimpse a world in which the Cold War is between the U.S. and Germany, and in which Joseph Kennedy is President of the U.S. instead of his son, and in which Edward VIII did not abdicate, but rules a fascist Great Britain from which Winston Churchill was obliged to flee. With Adolph Hitler's 75th birthday celebrations about to begin, detective Xavier March of the Berlin Kripo stumbles into the investigation of the suspicious drowning death of an old Nazi party stalwart in the face of Gestapo resistance. Harris's story of one honest man in a regime built on widespread corruption and dishonesty is a compelling read. The novel compares well to Phillip Kerr's Bernie Gunther series, not to mention Alan Furst's fine series of thrillers set in WWII. 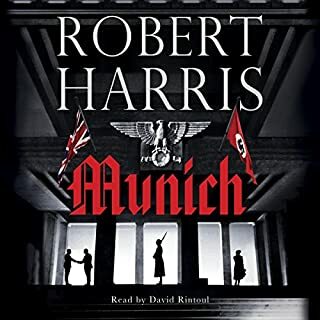 Harris recently returned to Nazi Germany with his latest novel, Munich, set firmly in the real world, but just as taut and disturbing. This book is wonderfully written and performed. 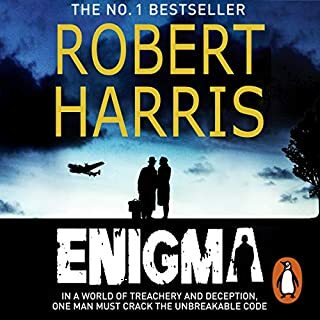 Like Le Carre, Harris writes superb fiction disguised as a mystery-thriller. Fatherland is an alternative history with strong echoes of today’s jackbooted politics. 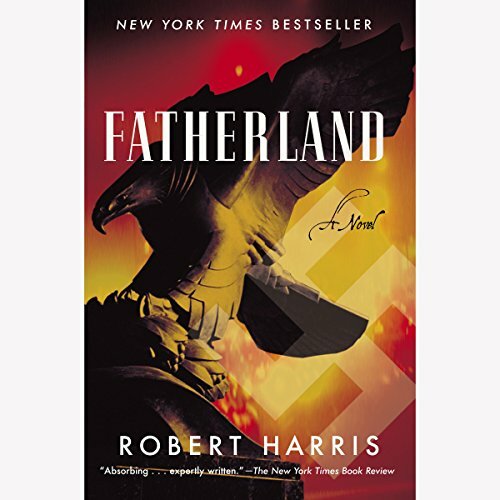 I accidentally bought the Audible version of Fatherland, a book I had read over 20 years ago and thought I knew well. Turned out I didn’t remember much at all about Fatherland, which is an excellent thriller. There are a couple of amazing similarities to other historical fiction. Over the last few years, I’ve read Philip Kerr’s Bernie Gunther novels about the Berlin police detective before, during and after WWII and also watched the amazing Amazon TV series The Man In The High Tower about an alternative history where Germany and Japan won WWII. Fatherland is about about an alternative history where Germany won WWII and a Berlin police detective uncovering the Final Solution 20 years after the war. Excellent story, highly recommended! Easy read. Never got board. Enjoyed every moment. Felt a little like a better version of a certain book that was turned into a TV show. This is officially alternative history but there is nothing sci fi or unbelievable about it. It is a gripping suspenseful thriller, about a German police detective who stumbles onto something dangerous, twenty years after the war. Fatherland is a speculative fiction. Harris has the Nazis winning World War II. Our protagonist is Xavier March, a policeman. He is investigating the murder of an old man who was once an important Nazi bureaucrat. The timeline of the story is 1964. The book is well written and researched. 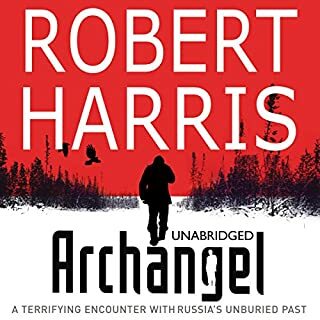 I believe that Harris had George Orwell’s “Nineteen Eighty-Four” in mind when writing this story. Considering what is happening in the world today, I found this book most interesting. I also found it intriguing that Harris made Joseph Kennedy the President of the United States. The book had several different plots intertwining which created a lot of suspense. This book is well worth the read. The book is eleven hours twenty-five minutes. Michael Jayston does a great job narrating the book. Jayston is an English actor and a long-time well-known audiobook narrator. The truth and s Nazi go into a bar. This book is a alternate timeline gem. You will find yourself routing for the most unlikely of heroes. A SS Police Officer as investigates a death that leads to a larger mystery. Not knowing to quit while he is ahead our hero is now trending where high ranking dogs lie.